Follow me as I am going to explore the haunted, abandoned and cursed village Kuldhara at a distance of 65 Km in deserts of Jaisalmer.Jeep was passing on dusty road with sand duens on both sides.After one hour travelling, I was at entrance gate to ruined Kuldhara village which stands desolate and an uncanny silence prevails all around. Jeep driver Jogendra was my guide.Today all that remains are huge heaps of bricks and the odd tourist who weaves through the silent, dusty lanes of this once lively settlement. This village was abandoned by its people 200 years ago. Legends and stories are a wonderful way to attract visitors to a place.A curse and haunting Story is a sure way to get visitors to that place. I was in Jaisalmer and seeing Salim Sigh ki Haveli built in 1815 by Salim Singh, the prime minister of the kingdom when Jaisalmer was the capital. My guide told, that Salim Singh was not a soft and kind hearted. Actually He was Zalim, a cruel man of his time. Guide narrated a fairy tale-like story of how Kuldhara came to be abandoned, cursed and haunted; forgotten, and then discovered after almost 2 centuries. It was a story that was fascinating in every aspect! Love has power to win the world.One can bestow his enemy with love. Contrary to it, love for lust is such a volcano which burn all in its way.Destruction and only destruction. 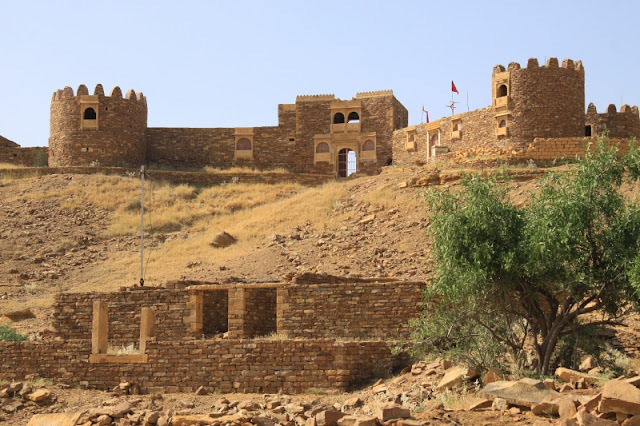 This blog is on that love and a curse which destroyed the village Kuldhara Beyond the fort and the sand dunes, the folk tunes and the camel safaris. The Maharaja of Jaisalmer was only a titular head of the state at this period, and the Diwan (Prime Minister)-Salim Singh, was the most powerful authority.He had the actual power which he misused to the fullest extend. According to native folklore, Salim Singh, was well known for his lecherous eye, and evil disposition. On day his eyes fell on a beautiful girl, who was most probably the daughter of the chief of Kuldhara. Enchanted by her beauty, he asked to marry her, but his proposal was refused by the chief as the Diwan was from a lower caste. The Diwan was furious and gives a 24-hour ultimatum to the girl’s father to change his mind or else…continuously tormented by him and faces his threats of extracting multiple taxes from the villagers.The brave, self-respecting village folks unanimously took the decision. 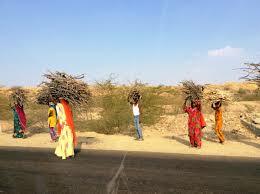 They packed up all their belongings, abandoned their homes and left Kuldhara overnight. The brave, self-respecting village folks unanimously took the decision. They packed up all their belongings, abandoned their homes and left Kuldhara overnight. 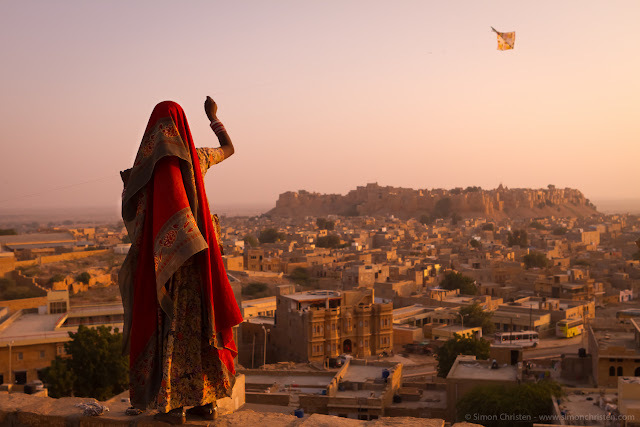 The Paliwal Brahmins were natives of Pali.Depressed by the oppressive ruler of Pali; they migrated to the area of Kuldhara in the then state of Jaisalmer in 1291. It is believed that each new Paliwal family was gladly received into the 84 villages nearby Kuldhara with a brick and a gold coin from every other family in the village. The brick was used to build a house while the gold was used to start a business or a farm. Kuldhara was an excellent township, pretty big, well planned with structured settlements, and straight-wide streets which ran in grids with houses on either side. There were about 600 households in the village, most of which were double storeyed, well designed and aesthetic, most probably designed to avoid heat storms of the desert. Paliwal Brahmins left village Kuldhara to remain inhibited and cursed. 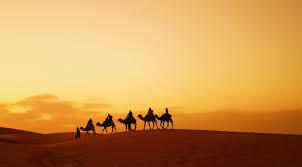 However, before they left, they cursed that the village would remain uninhabited for times immemorial and those who attempt to dwell in these villages shall be death. If anybody tried to dig out their wealth and belongings, they would live to regret their act and suffer. As the whole community moved out, their hearts were filled with sorrow, and the thought of inhumanity and atrocities increased their pain and suffering. Many years before, human skeletons were found scattered in an alley off the road. 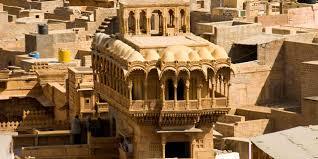 It is also believed that the Paliwals left their villages in 1825 on the day of Raksha Bandhan. To mourn the unfateful event, they do not celebrate the festival anymore. That curse stays till date because the town is barren and uninhabited. The houses are almost in the same condition as they were left behind by their inhabitants. As I climb up the steps of one such home, I can see the entire expanse of the village. Lanes and brick homes, equidistant from each other, are neatly laid out. 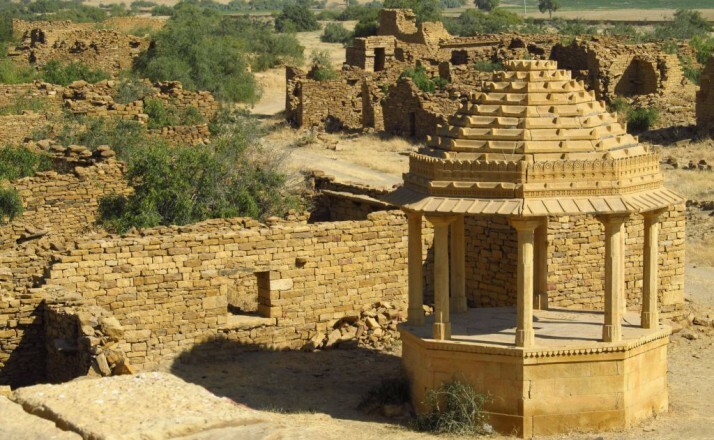 Now this village Kuldhara is maintained by the Archaeological Survey of India as a heritage site. As the sun sets across the sand dunes, the gates of Kuldhara are closed by the locals of the neighbouring villages. But how a bog population of Kuldhara vanished in a single night, with no one noticing them remains a mystery. The dull fate of this village and story behind its walls still haunts many.